"when the party's over" または "you should see me in a crown"? お気に入り song from: WHEN WE ALL FALL ASLEEP, WHERE DO WE GO? 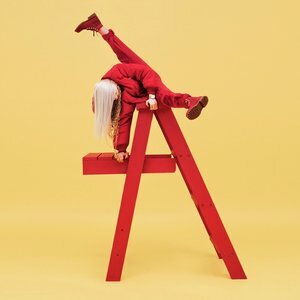 I sometimes wonder what i would say to Billie Eilish if we ever happened to meet. What would あなた say? Don't あなた know I'm no good for you? Don't あなた know too much already? Eilish's debut album is much anticipated. When asked about what ファン can expect for her full-length album, Eilish 発言しました she doesn't want to be pigeon-holed into as sound. a comment was made to the poll: お気に入り song from: WHEN WE ALL FALL ASLEEP, WHERE DO WE GO? a poll 追加されました: お気に入り song from: WHEN WE ALL FALL ASLEEP, WHERE DO WE GO?